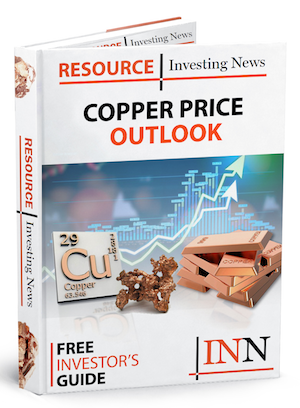 The company said it believes that the market for copper will be positive over the next few years and could be in undersupply globally as early as next year. Aguia Resources (ASX:AGR,TSXV:AGRL) is currently evaluating opportunities to enhance shareholder value through its Big Ranch and Canhada copper prospects in Rio Grande do Sul, where it has discovered a new zone of copper mineralization and staked 23 tenements, totalling 34,000 hectares within the Rio Grande copper belt. Click here to read the full Aguia Resources (ASX:AGR,TSXV:AGRL) press release.